The Missing Blog: Lost Children Tents: What do you think? Lost Children Tents: What do you think? I have been a lost child in a sea of adults, and I have been a parent who discovers their child missing in a playground. Both nightmares ended within a matter of minutes, but the horrible experience stays with you. Through my work as Chief Executive of Missing People, I have learned that words do not convey the terrible pain of having a child go missing and stay missing. There is no remedy, and no way of removing the ache. Nevertheless, the charity is dedicated to doing all that we can to be a lifeline for families of missing people, and to engage the wider society to play its role as well. I have long been impressed by the way the lifeboat people, RNLI (Royal National Lifeboat Institution), who “Save Lives at Sea”, have extended their services by providing local lifeguards on beaches. By broadening their scope of support, they increase the number of people who they reach with messages about staying safe at sea. I wondered what a local presence like this would look like for Missing People, and how it might help us to educate the public on the issue of missing. This past Saturday – April 2, 2011 – the charity hosted its second annual ‘Miles for Missing People’ running event in Regent’s Park, London. The event was a great success – we raised £30,000 and brought together more than 1,000 people in support of missing people and the families left behind. 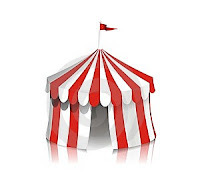 There were so many children running around throughout the morning, and at one point it struck me: What if the charity endeavoured to provide a ‘Lost Children Tent’ at every major event attended by families? Festival providers would commission Missing People to provide a service that would use mobile technologies, wrist bands and central co-ordination to ensure that children stay safe if they get lost and are quickly reconnected with their parents. In doing so, we would provide a small help that ultimately reminds parents of the much wider issue of missing children, and invites them to become part of the national community of support for the 250,000 people who go missing every year and their families left behind. Practically, I imagine every person entering the event would be handed a free wrist band with the helpline number for Missing People, so that – in case a child is separated from his parent – either the child or parent could call the helpline and Missing People – alongside local volunteers staffing the Tent - would centrally coordinate the search and location of the child. 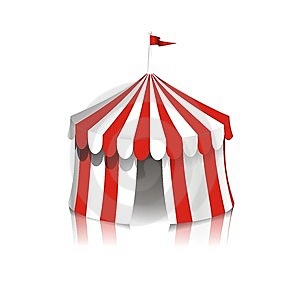 If it was a success, small scale versions of the volunteer-led Lost Children Tents could operate at every village fete and gala in the country. Our Lost Children Tents could also feature local long term missing people posters so that members of the public could wander around and sign up to Join The Search for those who have been missing for some time. Finally if we were really ambitious we could roll it out for major international events like the Olympics! What do you think? It's a genius idea Martin. Genuinely - go for it! What an excellent idea Martin. Pls let me know if I can help with anything. It sounds both practical in that it would have real purpose and a great marketing-awareness-raising project. Possibly a bit of a nightmare to organise?? I'ld be happy to put my name forward to help at events. Talk about a great idea in a nutshell that's pretty much ready to go! Simple, but effective - it has to be done.